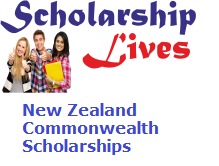 This year also, Ministry of Human Resource Development (MHRD), Government of India has issued New Zealand Commonwealth Scholarships 2019 for Indian students. These scholarships provide to all the students who are willing to do Masters and PhD. It is funded by the New Zealand Aid program and managed by MFAT (Ministry of Foreign Affairs and Trade). First of the entire visit the official website of the department. Note: The recommend agency for Indian students is MHRD. After the applicants have submit their applications, the MHRD will nominate only 2 applicants for the scholarship scheme. Required documents for getting the Scholarship? The scholar is expected to return to their home country at the end of the scholarship. The scholar will comply with the rules and regulations of the university at which they are enrolled. Scholars may not hold, apply for or obtain Permanent Residency status in New Zealand during the tenure of the scholarship.